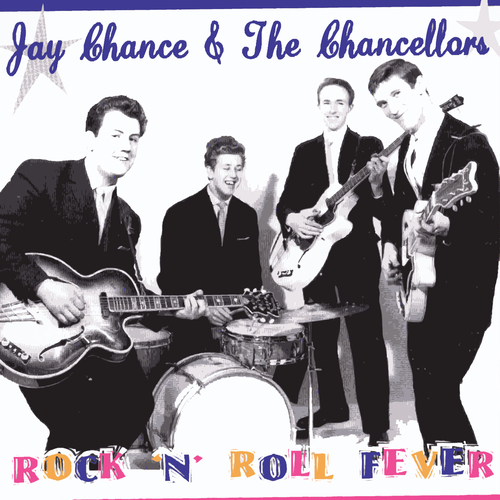 Jay Chance is a British Rocker who played the legendary 2Is in Soho in the 1950s, along with many other young Rock 'n' Roll singers of the time. He appeared on the radio and cut demos at HMV in London, but didn't get the big recording deal that would make him a star. He gave up singing for many years, but finding his old recordings whilst having a clearout reignited the spark, and 5 decades later Jay is singing and recording again, and it must be said, he's in great voice. Raucous Records is very proud to release Jay Chance's debut album - albeit approaching 50 years late! Jay got together with some real Rock 'n' Roll musicians and recorded this great album. They perform some lesser-known rockers impeccably, with musicians who understand how 1950s Rock 'n' Roll should be played. The recordings were made on vintage equipment to capture an authenticity that would be impossible with today's recording techniques. Million-selling hits of the past were given a wide berth - the intention being to make a real Rock 'n' Roll album and not an oldies nostalgia collection. Mission accomplished. Jay and the Chancellors revisit his old material and rock up some 50s obscurities - and as an added bonus we have included the 7 previously recently unearthed and previously unreleased 1950s demos which led to the making of this new album.